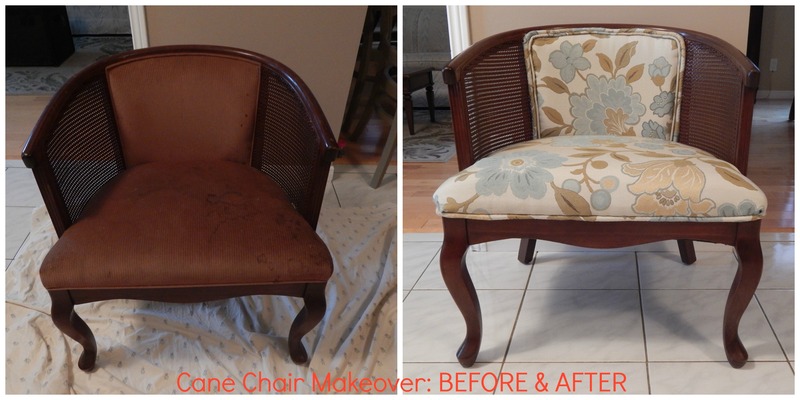 A quick before and after of a cane chair I just finished. 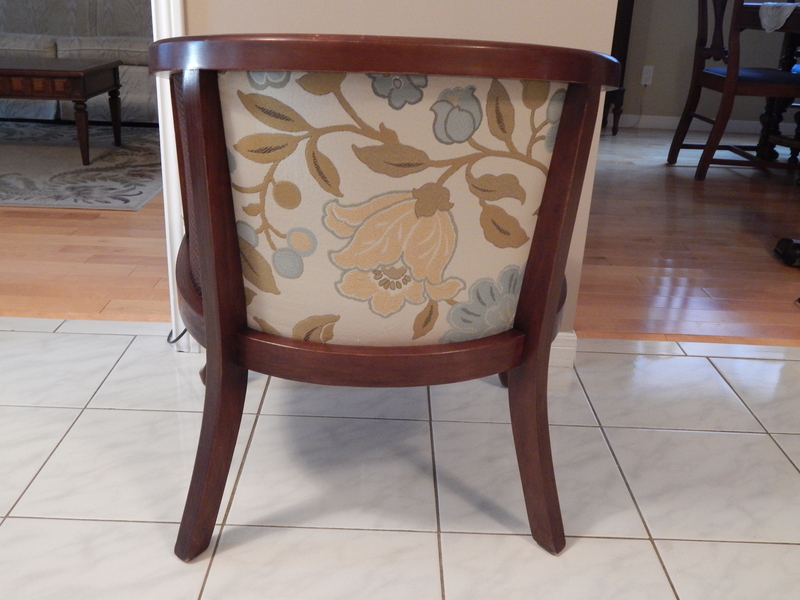 Purchase price $25, ugly stained velvet fabric included. 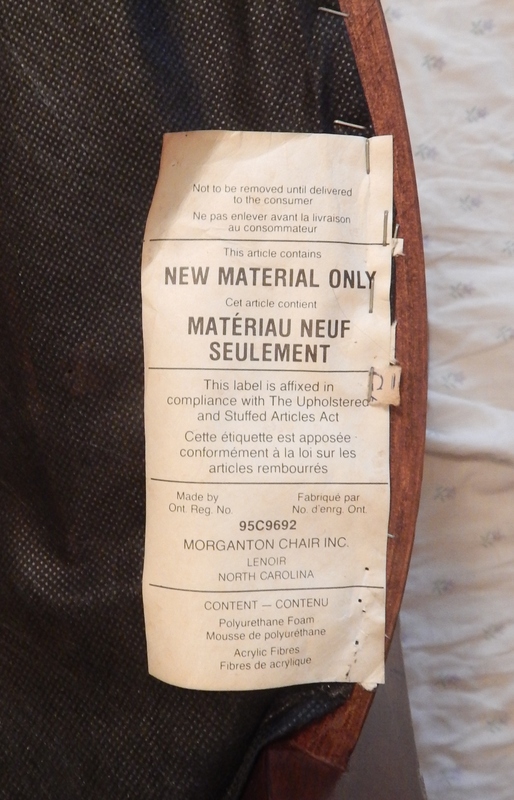 As I started to dismantle it, I found the original tag – Morganton Chair Inc, North Carolina. 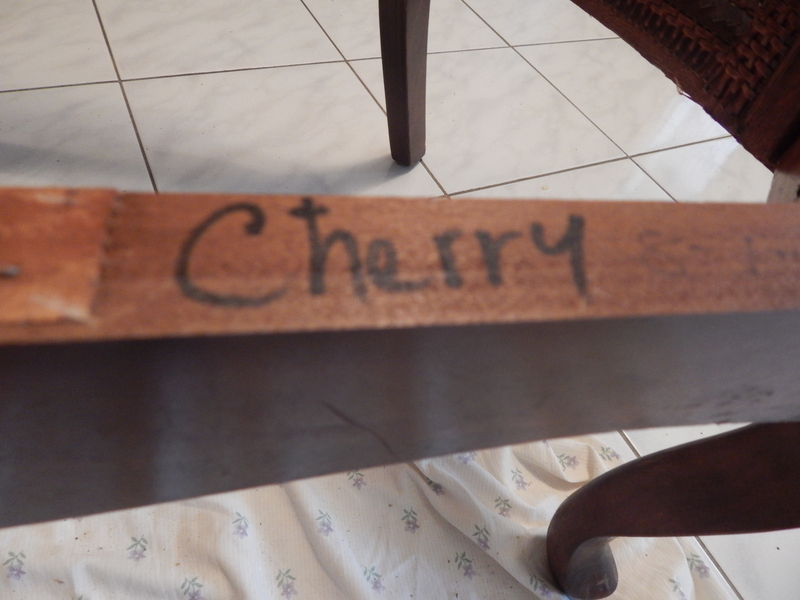 Oh, how I love cherrywood! 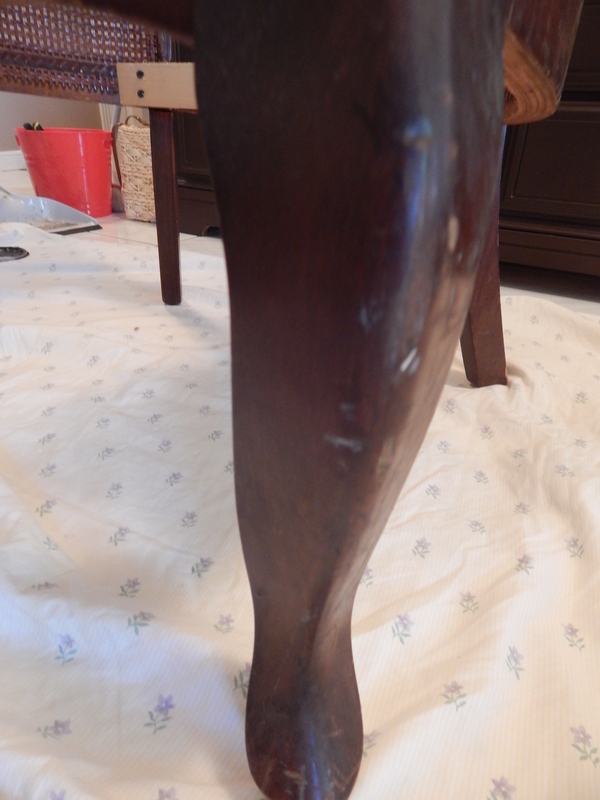 After everything was taken off, I gave it a good scrub with my trusted Briwax and some steel wool, which by the way, got rid of all of the scuff/scratch marks on the wood and then buffed it out completely with a soft rag. 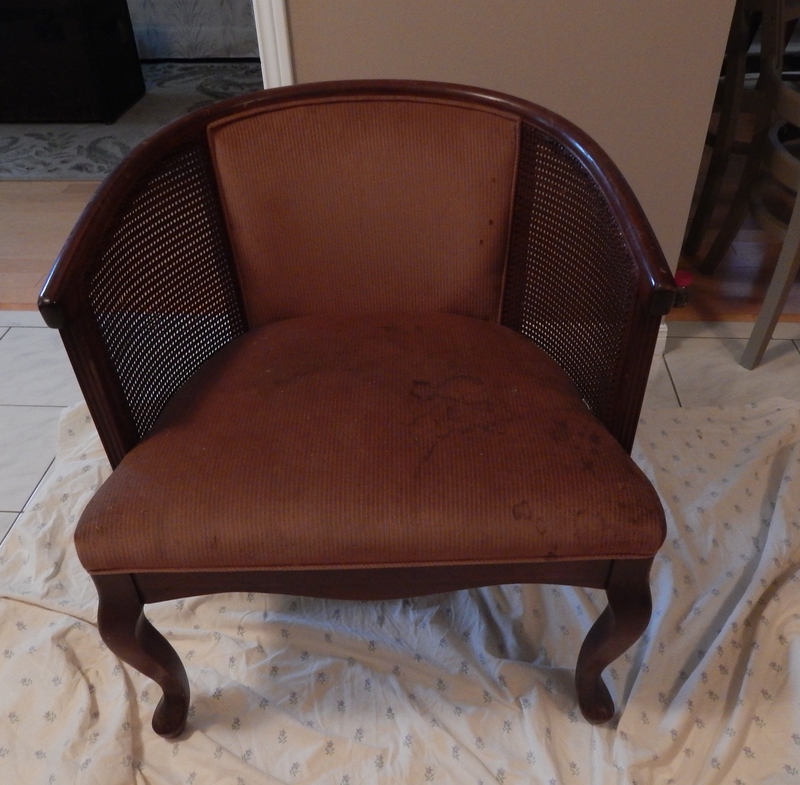 I chose a rather classic fabric to recover with. I try to get all my fabric off the clearance bins at the fabric stores. 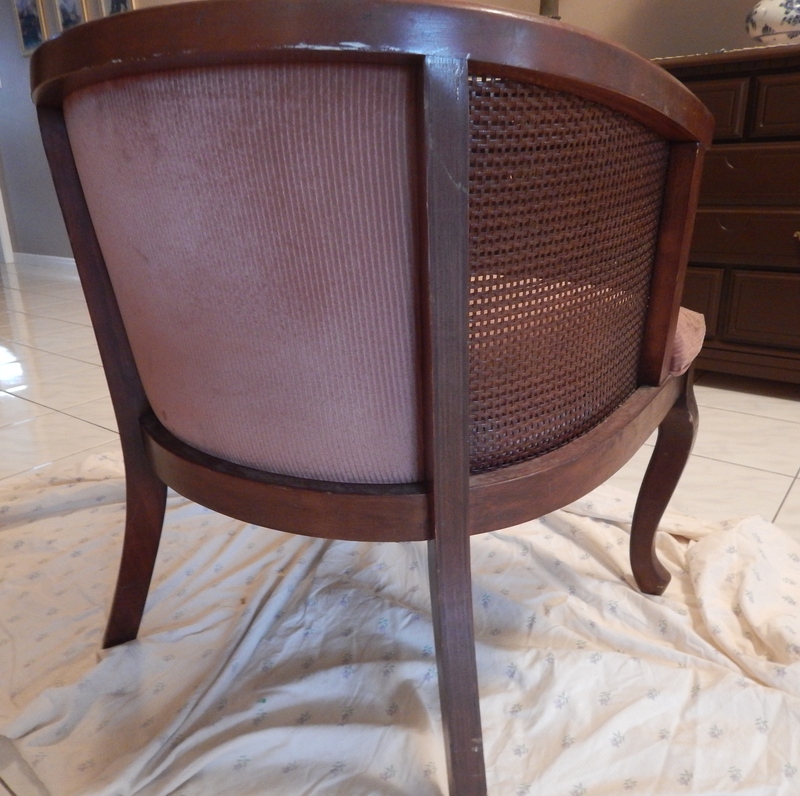 This often works well for chairs since they don’t need much. A couple of metres or so. Here is the result. 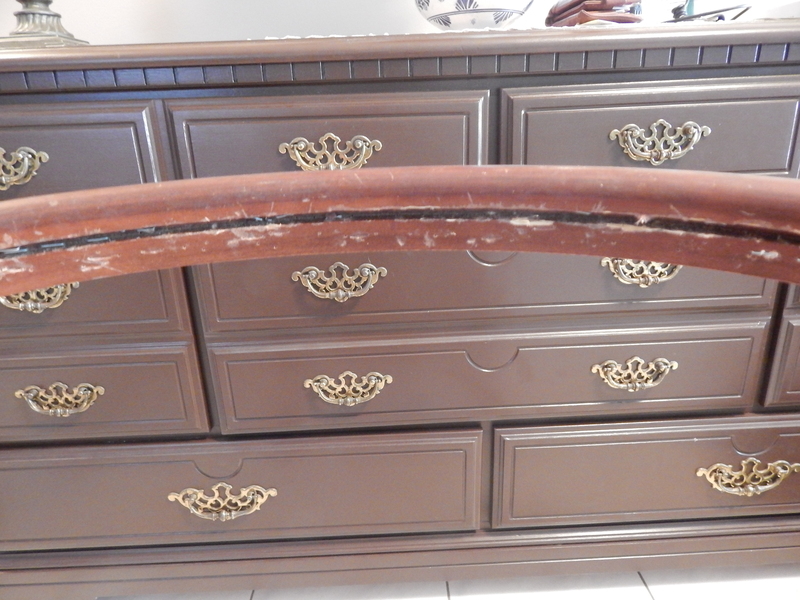 Just to give you a better idea how scuffed up it was. Here are some close ups. I’m quite pleased with it. 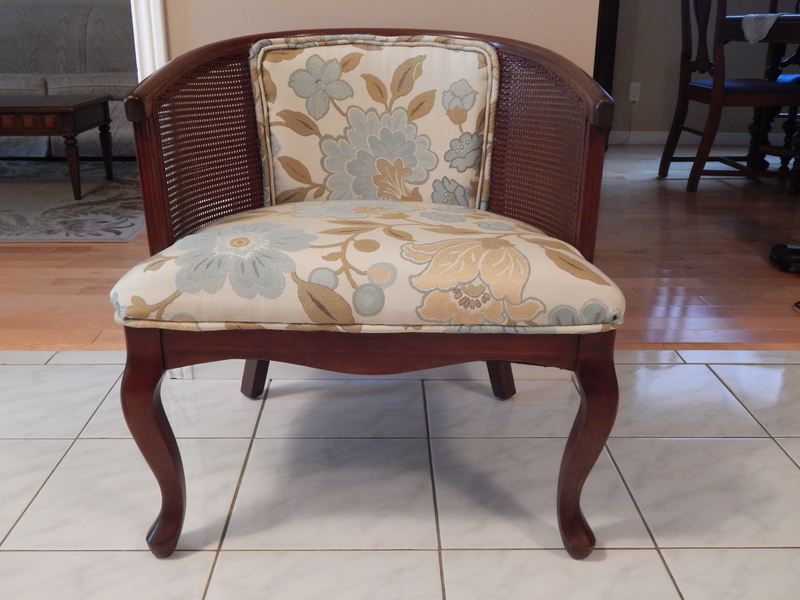 It’s so comfortable and now has a new home in our entry way for guests to sit and tie shoes.